The Belfast Telegraph – sister paper of the Irish Independent in Northern Ireland – this morning reported what it claimed was an exclusive. The report never made it online but it began “Northern Ireland’s best known pub group is facing a winding-up order over unpaid rent on its former headquarters, the Belfast Telegraph can reveal”. The report by the Bel Tel’s Margaret Canning went on to claim that Botanic Inns which operates 14 pubs in Northern Ireland and employs 600 people, was facing a winding up petition from property developers John and Helen Miskelly. We learned this week that the Sunday Times Rich List Irish Top 250 estimated John Miskelly’s wealth at €71m and attributed the wealth, in part, to ownership of the Ten Square Hotel in Belfast. We also know that John is in NAMA, with the BBC reporting in July 2012 that NAMA had registered a charge on one of John’s companies, Applecroft Investments. Botanic Inns has to contend with not one, but two NAMA developers. In 2011, NAMA had administrators appointed to Clare developers, Sean Lyne and Noel Connellan, who owned a string of pubs in Northern Ireland. 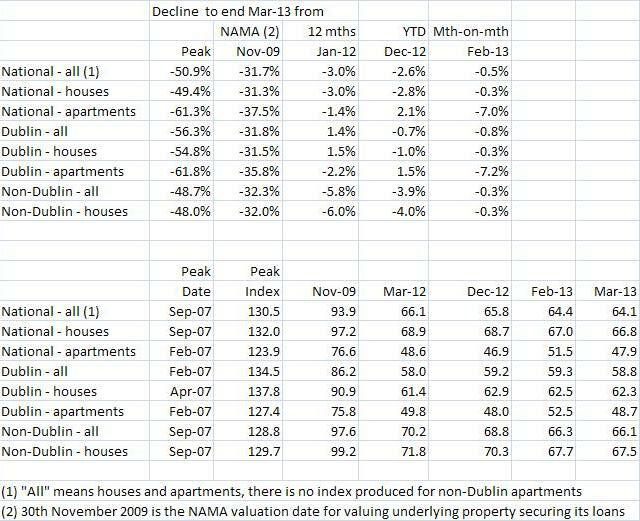 Five of the pubs were rented to Botanic Inns, so in 2011, NAMA became landlord to the pub landlords! Separately, Botanic Inns rented its head office on Ormeau Road from John and Helen Miskelly. And the Bel Tel today claimed that GBP 60,000 (€71,100) was owed by Botanic Inns to the Miskellys on the Ormeau Road building, and that the petition which is set to be heard by the High Court in Belfast next month jeopardized the future of the pub operator. So, it seems that Botanic Inns is facing a petition in respect of its headquarters but the petition is not connected to the bars operated by the group. It seems it’s not just Jack O’Connor, Joan Burton, Manuel Barroso and Archbishop Diarmuid Martin that have had enough of austerity. We learn this week that three employees of the NTMA and NAMA who are earning more than €200,000 and who were asked to waive 15% of their salaries are not agreeing the waivers. In the Dail, the Sinn Fein finance spokesperson Pearse Doherty asked Minister for Finance Michael Noonan if NAMA staff earning more than €200,000 were continuing to waive 15% of their salaries. You’ll recall that, for example, the NAMA CEO Brendan McDonagh has a basic salary of €430,000 but that, in 2012, he waived 15% which meant he was paid €365,500. But these waivers are not permanent, so on 1st January 2013, Brendan’s salary would have reverted to €430,000. As it happens, Brendan has agreed to a continuing waiver in 2013 so again this year, his basic salary is €365,500. Minister Noonan told Deputy Doherty that 13 staff in the NTMA/NAMA are paid more than €200,000 a year and all but three are continuing to waive 15% of their salaries or the portion over €200,000, whichever is less. But there are three refuseniks, and given we are nearly a third of the way through the year, we must assume that these refuseniks have said “no” and mean “no”. We don’t know the names of the refuseniks, but we do know that they don’t include either the CEO of the NTMA, John Corrigan or NAMA’s CEO Brendan McDonagh. So, workers in the public sector are threatened with legislation which might cut 7% from their pay regardless of pay-level and yet in the state agency, the NTMA and NAMA, the Government can’t do anything about the three staff who are paid more than €200,000 a year and who refuse a 15% pay waiver in 2013. Austerity is not for everyone, it seems. The parliamentary question and response are here. Deputy Pearse Doherty: To ask the Minister for Finance if he will confirm the status of salary waivers in 2013 at the National Treasury Management Agency and National Asset Management Agency, and specifically if 15% waivers by staff earning more than €200,000 are continuing; and if he will confirm if the Croke Park 2 agreement will mean additional cuts to salaries on top of the waivers..
Minister for Finance, Michael Noonan: On 21 December 2011, I wrote to the Chief Executive of the National Treasury Management Agency (NTMA) requesting all NTMA employees whose salary exceeds €200,000 to consider waiving at least 15% of their salary or such lesser amount of salary as exceeds €200,000. NAMA staff are employees of the NTMA. Under section 42 of the National Asset Management Agency Act 2009, the NTMA assigns staff to NAMA. All relevant NTMA employees agreed to waive such amounts during 2012. I am informed by the NTMA that thirteen of its 522 employees fall within this category. Ten of these – including the Chief Executives of the NTMA, NAMA and the NDFA and the other six members of the NTMA senior management team – are continuing to waive such amounts. With regard to the Croke Park 2 proposals, following the rejection by the Public Services Committee of Congress of the LRC proposals on a successor agreement to Croke Park, the Government will reflect on the outcome of the ballot and the manner in which the required payroll savings can be achieved this year. In that context it would be premature to comment on the way in which any proposed measures may affect a particular group of employees. I don’t think the new Personal Insolvency Act 2012 will lead to an upsurge in Irish bankruptcies. Although the Act, when finally commenced, will allow people undergo a 3-year bankruptcy instead of five years at present, the reason I don’t think there’ll be much change is, last year, when justice minister Alan Shatter lowered the bankruptcy period from 12 years to five, there was no noticeable increase in bankruptcies. We learned this week that in 2012, a total of 35 people were declared bankrupt in Ireland. That compares with 33 in 2011 and 29 in 2012. We learned from a Freedom of Information request to the UK Insolvency Service in February 2013 that at least 61 Irish people were declared bankrupt in the UK in 2012, and that is likely to be an underestimate as it depends on Irish bankrupts in the UK including an Irish address in their application and specifically including “Ireland” in their address. We also learned this week that there are 143 people in Ireland that are still not discharged from bankruptcy. There were nearly 60,000 bankruptcies in the UK in 2010, the last full year for which the UK Insolvency Service has published statistics. In Northern Ireland, which has a population of 1.8m compared to 4.7m here, there were 2,300 bankruptcies in 2010. It looks as if, under the new Personal Insolvency Act 2012, there will still be very few bankruptcies in Ireland – if there wasn’t a surge when the bankruptcy period fell seven years from 12 to five last year, there is unlikely to be a surge this year when it falls from five to three. Not when you can obtain a bankruptcy over 12 months on easier terms in the UK. These are the parliamentary questions and response which revealed the statistics this week. Deputy Pearse Doherty: To ask the Minister for Justice and Equality the number of individuals adjudged bankrupt in the State in each of the years 2010, 2011 and 2012. Deputy Pearse Doherty: To ask the Minister for Justice and Equality the overall number of individuals in the State whose bankruptcy has not yet been discharged. Minister for Justice and Equality, Alan Shatter: As the Deputy may be aware, ahead of drafting the Personal Insolvency Act 2012, I introduced a number of amendments to the existing bankruptcy regime in the Civil Law (Miscellaneous Provisions) Act 2011 providing for the reduction of the application period to the court for discharge from bankruptcy from 12 years to 5 years, subject to the same conditions, and for the automatic discharge of bankruptcies on the twelfth anniversary of the bankruptcy adjudication order. The new Personal Insolvency Act 2012 continues the reform of the Bankruptcy Act 1988 and, when commenced, will provide for an automatic discharge from bankruptcy, subject to certain conditions, after 3 years in place of the current 12 years.